Establish Messer Moteren Werke in the marketplace. Create an image aligned with the brand message. Design logo and tagline to represent the business. Amplify the message via website, social media, and print. Drove business to Messer Motoren Werke. A print element of the campaign is the introductory postcard to announce presence. 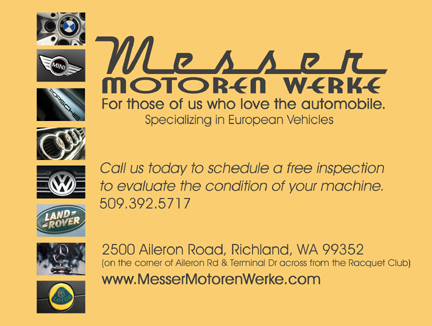 A compelling offer of a FREE inspection helps bring in customers and establish an acquaintance with Messer Motoren Werke. The relationship begins.